This recipe is from Dorie Greenspan " Baking From My Home To You " and this is the second time I baked this. 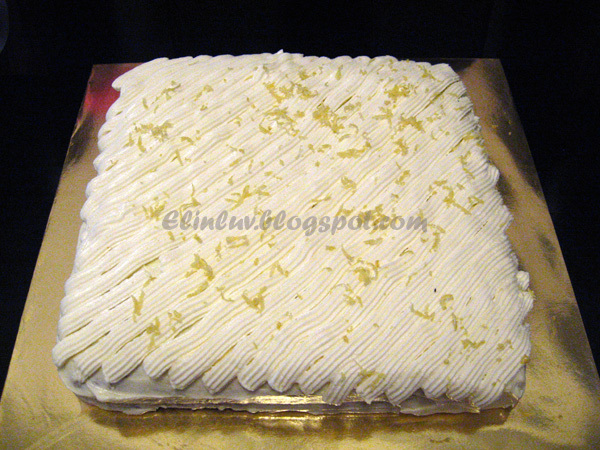 The first time I baked this , I took it from someone's blog , that was before I bought her book , and it turned out great. This is my second time baking it with the book on hand it turned out great too. Many readers have emailed me and asked me for the recipe and now I can share it with you this , one of Dorie's great creation. This is a wonderful moist carrot cake . I tweaked it a bit to my taste , lesser sugar and instead of using full corn oil, I half it with corn oil and melted butter for a softer texture. A beautiful dessert for the Piggies. Who doesn't , with the rich cream cheese topping ! :) A good treat for Josh and Jo and I baked this on the night before the Chinese New Year's Eve ! I find that using corn oil and melted butter together gives the cake a soft texture even though it has been in the fridge for a day. I don't have to thaw the cake before serving. 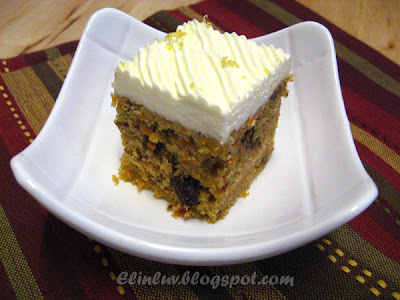 Wonderful carrot cake ! We welcome the Rabbit year with this delectable Dorie Greenspan's Bill's Big Carrot Cake ! postcards and put the recipe on the back side and share with friends. I love how you got that design on the top of your frosting. It makes your cake look so stylish. The carrot cake sounds delicious and looks very moist. I hope you'll come by and link this up to Sweets for a Saturday #3. Yum! 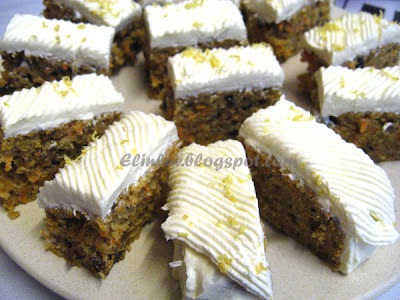 I love carrot cake, though I've never made it myself. Love your pineapple tarts :) I am having my first give away, hop on over to enter. only one piece for readers? not enough leh! the frosting design looks pretty! Yum! Looks good! Love the piped frosting - I just usually slap it on & slather it all over. Must learn to be more elegant and refined! 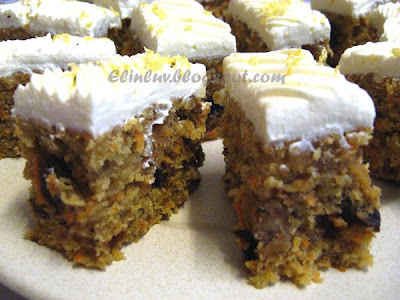 This carrot cake looks and sounds amazing! I love the plump raisins inside and love the way you frosted the cake, gorgeous! Elin, is this the one you baked at 3am? haha... Have to salute you! You're unbelieveable.... baking at 3am. Hope you're enjoying the evening.